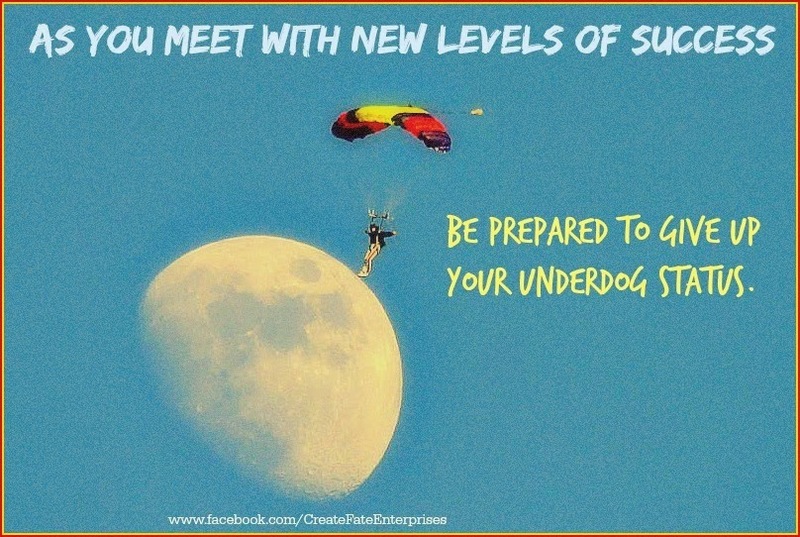 As you reach new levels of success (whatever success means for you) be prepared to let go of your *Underdog Status*. Many of us, no matter how successful we are, get used to thinking of ourselves as less than, as an Underdog and this can become part of our identity. If you really want to move to the next level..this needs to go. Letting this go can be really uncomfortable, especially if we have spent years thinking of ourselves in this way. A lot of people arent even conscious of it.